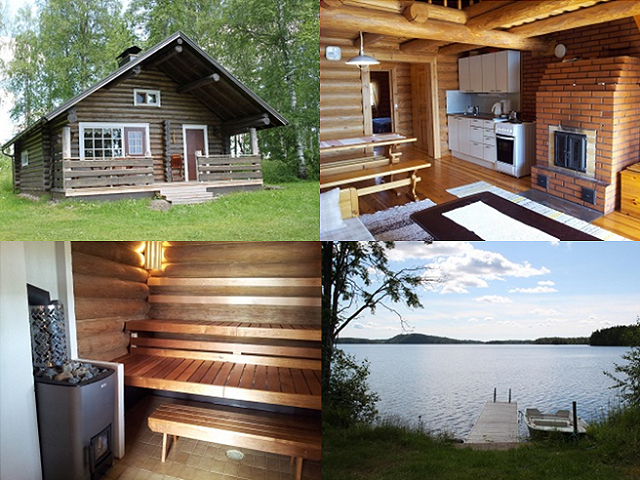 On the shore of Lake Valkeavesi, the cottage is made from hand carved logs and is 74 m2. The cabin features a main room, a bedroom, a toilet, sauna, dressing rooms, a porch and a large loft. The cabin can be accessed by road and the closest neighbour is 80m away, not visible from the cabin.